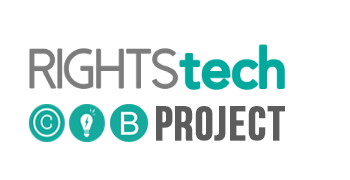 Frankfurt Book Fair (FBF) has partnered with RightsTech Project (RTP) to launch a new conference called RightsTech: Europe, to be held in Frankfurt, Germany, on 9-10 April 2019. Modelled on the annual RightsTech Summit in New York, the conference aims to bring together a mix of creators, rights holders, technology developers, investors and policymakers from creative and media industries. The agenda will cover issues such as the common challenges and emerging technology-enabled solutions, as well as the management and monetisation of copyrights in an era of global digital platforms. The conference will also highlight recent rights-related developments within the EU and their global implications. Topics covered in the inaugural conference include machine-to-machine rights management, automated licensing platforms, metadata, multi-territorial licensing, copyright in the digital single market, blockchain, art and artificial intelligence, truth and transparency in royalty reporting, tracing authorship, open access and machine learning.